Parents who let their children be driven in a car by their professionals can now enjoy peace of mind thanks to this bespoke certified driving assessment. Drive A Child, the driving equivalent of a DBS check, and the world’s first assessment of its kind, launched nationwide. This online training tool has been developed by a20m International ltd – the company which screened the 8,500 volunteer drivers for the London 2012 Olympics. Drive A Child is endorsed by childcare experts Norland College. The initial assessment takes just 40 minutes to complete; depending on performance, there are then up to 20 compulsory or recommended modules which take a few hours, including topics such as anxiety, fatigue, safety margins, distraction and the school run. There is also an accompanying e-book, packed full of useful information related to in-car safety and travelling with young passengers including: How to fit a car seat properly, being the best role model, what makes a journey different today, and knowing your vehicle inside and out. 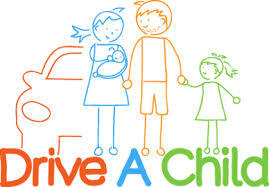 The Drive a Child Register records successful holders of the Drive A Child qualification, which must be renewed every three years.